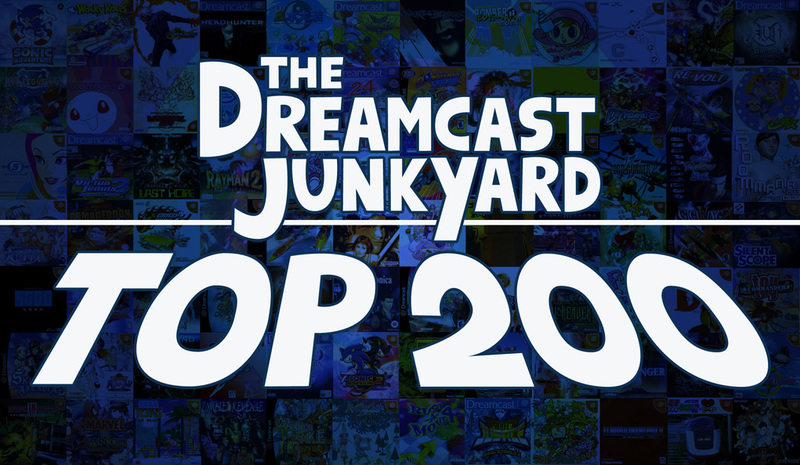 The Dreamcast Junkyard: Dreamcast Top 200 poll is closed! Dreamcast Top 200 poll is closed! The Dreamcast games poll has been online since the American anniversary on the 9th of September and today the poll will close up for good, so get your votes in now while you have a chance! Keep an eye out for this blog tonight as we will be launching part 2 of this poll, in which you will have to pick games over the other that have an equal amount of votes. After today the games that make the top 200 will be set in stone but the order of them will be up to you! This new poll will open tonight and will be open until the end of Tuesday the 26th! That's only three days to get your votes on the order in! Take note that some games are going to be combined to squeeze more games in. For example Sakura Taisen 3 + 4, Power Stone 1 + 2 etc. This is because their votes are very close to each other and will make the finished list far more interesting. Without the covers it was hard to remember my favs! Because, there are some gems with just a few votes to them, a bit sad really. The Top 200 Dreamcast Games: Voted by you!